BEIJING: The sky seems to be the limit for Chinese online shopping portal Taobao, which auctioned off two Boeing 747 jumbo jets on Tuesday for nearly $50 million. Chinese air cargo company SF Airlines bought the pair for over 320 million yuan ($48 million), the official Xinhua news agency reported. After six failed attempts over two years to sell three 747s from defunct carrier Jade Cargo International, a court in the southern Chinese city of Shenzhen decided to auction them online. 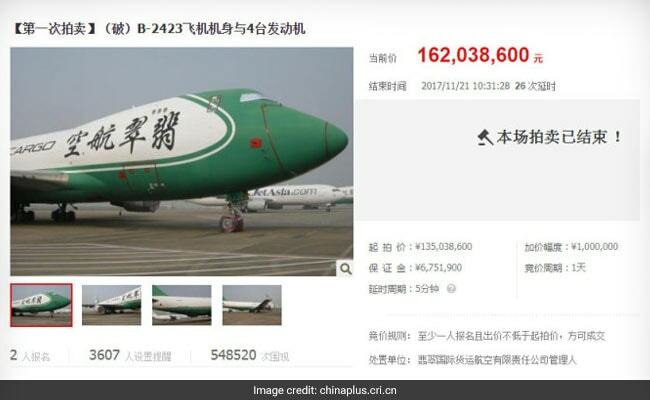 The jets were put up for sale Monday on Taobao, which handles billions of dollars in orders for everything from everyday items like food and stationery to the bizarre – such as giant cargo planes and even bottled flatulence. The third freighter could not be sold because only one buyer registered for the auction. Taobao, the shopping platform of e-commerce giant Alibaba, is immensely popular in China and estimated to hold more than 90 percent of the consumer-to-consumer market. Its hundreds of millions of users include courts trying to auction off assets of bankrupt businesses. Xinhua said Taobao started a judicial sales platform in 2012 with which most Chinese courts have registered.